I've noticed I haven't been blogging much. I haven't been getting myself organised and I have really missed it. I've loved the blog everyday challenges I've done in the past but I was looking for a challenge that covers all aspects of things rather than be a fashion challenge or a beauty challenge. I've googled and put a couple of shoutouts on twitter and facebook but I couldn't find anything specific to August 2014. ****Edit*** The list below was quite specific to me. I've edited to be for all as a couple of people have contacted me about joining in. If you take part in any of the below challenges feel free to post about them but if you have no idea what they are use the send option. I hope it's not too confusing! 1. Introduction who am I? 4. 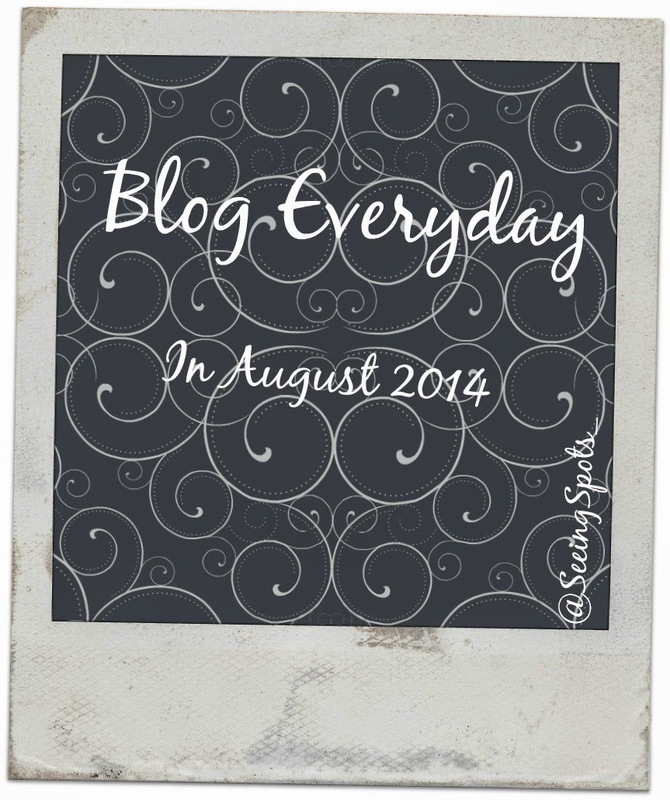 Have you been to any blog related events or are you going to any soon? 5. What's in my makeup bag? 9. What skincare products are you using? 11. What have you been wearing this week? 17. Party Food, what makes a good party buffet for you. Maybe you’ve had a party recently and not had chance to blog about it. 26. What’s in your to read pile? 27. Share some blogger love. Which blogs do you enjoy reading and why? 28. Essentials for a weekend away. What would you take? I'm up for that I think. Not sure what some of the prompts are but I'm sure I'll learn from reading what you put. Hope this reply works as replying by email. I won't be able to blog every day but fingers crossed and as long as I don't waste time on other stuff I can get a post out each day. Day one is ready to go. Day 2 is half typed and Day 3 is written up on postit notes. I'm away this weekend so my plan is to get those two scheduled. Then I'll go through my memory card and dump pictures in to posts / edit on pic monkey and dump into drafts then I can come back and add text when I get a chance. When I wrote the prompts I added in all my linys / challenges I do but as people have said they might gave a go i've changed them for things that anyone can do and I might have a go at doing both!!! OO a great idea. I've always wanted to get involved in Linkys and never have. Yours looks to be up my alley.. So when I get home from work I'll give it a go!